With over 30 years of experience, The Pelletier Company has become one of Southern California’s most trusted names in the window and door industry. Our sales specialists are all factory trained and take pride in the products that we represent. Whether you’re an architect, designer, builder or homeowner, we are committed to providing you with the most fair and satisfying buying experience. We are dedicated to serving the San Diego, Orange County and desert communities…one project at a time. 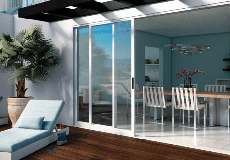 We offer Vinyl Windows, Wood Window, Aluminum Windows, Thermally Broken Aluninum, Fiberglass Windows, Clad Windows, Clad Doors, Bi-Fold Doors, Lift and Slide Doors, Pocketing Doors, and Multi Slide Doors. San Diego Home and Garden Home of the Year. San Diego, La Jolla, Rancho Santa Fe, Del Mar, Poway, Carmel Valley, Carlsbad, Rancho Bernardo, Scripps Ranch, Tierrasanta, Kearney Mesa, Mira Mesa, Sorrento Valley, Escondido, Solana Beach, Encinitas, San Marcos, Oceanside, Ocean Beach, Mission Beach, Lomas Santa Fe, Linda Vista, Leucadia, Point Loma, San Clemente, Santa Luz, Leucadia, Olivenhain, Elifn Forest, Palm Desert, Pacific Beach. The Pelletier Company is rated 4.9 out of 5 by 17. Rated 5 out of 5 by Kelly01 from Excellent customer service There were several things we considered before we bought our windows and doors. Among them were customer service, product knowledge and price. The Pelletier Company delivered on everything. We are very happy with our choice, we would highly recommend The Pelletier Company. Thank you PC! Rated 4 out of 5 by ASKLJW from Love our door and window We bought a French door and garden widow. We love both and are delighted with the Pelletier Company for their support in our purchase. We would recommend this company and Craig Dawson who was our sales rep. Rated 5 out of 5 by KDWConst from Very happy with the Milgard windows! Very happy with the Milgard windows being installed in a new house. Rated 5 out of 5 by Jim B from Great company and service! I work with David over The Pelletier Company and he always meets or exceeds my expectations with service and quality of product. I work on many retro fit projects and Milgard is always the best choice for my customer and could not be happier. Rated 5 out of 5 by HappyMikey from Good listeners leasds to great service and prices Our contractor recommended using The Pelletier Company for our door and windows and I completely agree. From the first time we met with Craig Dawson, our design representative, I could tell he was a good listener who incorporated our concepts and needs into our budget. We got a package of Milgard windows and doors that work perfectly for our remodeled house. When there were issues or problems, Craig was quick to accommodate and fix things. I would highly recommend them to anyone who asked. Rated 5 out of 5 by TaylorPro from Craig at Pelletier - great supplier partner I use Craig exclusively for my window and door needs. His attention to detail and time management for servicing our requests, makes Pelletier our go to company.